to suit one business' needs. This is a significant expansion of the effort to force the Great Lakes governors to preserve Great Lakes water, ensure waste water treatment and breathe life into the eight-state, ten-year-old, but now-undermined Great Lakes Compact. “Today, the League of Women Voters-Lake Michigan Region joins the appeal of the proposed Foxconn water diversion from Lake Michigan. The proposed diversion is based on a mistaken interpretation by the Wisconsin Department of Natural Resources of the Great Lakes Compact and undermines the very important protections the Compact contains. The withdrawal of Lake Michigan water outside of the watershed basin for solely commercial purposes is impermissible. 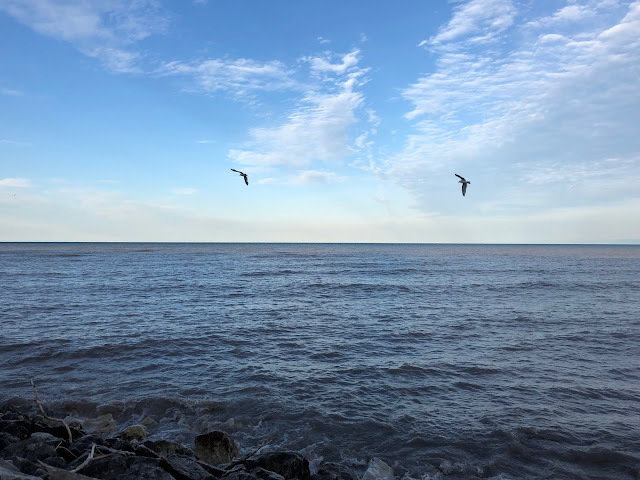 Additionally, the quantity and quality of water proposed to be returned to the basin has the potential to harm the great resource that is Lake Michigan,” said Krista Grimm, President of the League of Women Voters-Lake Michigan Region. The League of Women Voters-Lake Michigan Region is an inter-league organization consisting of over 48 local League chapters in Wisconsin, Illinois, Indiana and Michigan as well as their respective state Leagues. The LWV-LMR is a non-partisan grass-roots advocacy and education organization with a mission to protect and promote the environmental quality of Lake Michigan and the Lake Michigan basin. Here is a complete archive of blog posts about the Foxconn project, and one post focusing on the diversion issue. Too bad tony evers position on this is that its a done deal and he supports the boondoggle -- shame on him. Its not too late to get on board with the opposition, perhaps even publicly state he will hire an attorney to challenge it. But then again, perhaps this is why he was anointed the democratic nominee by the media that pumps up the foxconn lies long before anyone had any real choices. Is anyone with evers' campaign listening to the people? Of course they are. Do you want to donate to help Tony hire an attorney to challenge this? Why not go to his website and mention your idea instead of shaming him? You can help make things happen! Go for it! I know that Tammy Baldwin is fighting Foxconn at the federal level. She sent out an email about it two weeks ago. Why would anyone donate money for a cause that a candidate is not doing anything about?!?!?!? You have it backwards -- Evers stated his position in the debates. There is no reason for anyone to donate money for this -- he could make it a position in his platform. He has chosen not to and, despite your wishful thinking, this is not because he is unaware of the issues. Make it happen? You're behind the wrong horse, but HE could change on this and it is on him. Please don't pretend that he is entirely ignorant about everything Foxconn and has not already stated he will do nothing. Evers shames himself when he has nothing to say about the transportation budget, deteriorating infrastructure, and Foxconn. Please don't even get me started about his achievements with Wisconsin schools. Evers will not do anything to fight Foxconn with litigation. Evers is not equipped with neither the knowledge, skill, nor inclination to oppose Foxconn. I'm voted for the white man, but am not happy about it. Does this even register with Walker today? Should Walker be in these official DHS tweets? Did you miss David Clarke's spoofing Sunday? Build the Space Wall. And make Mexico pay for it. Walker watchers: Remind you of anyone else? Build a wall? They should focus on avoiding them.